Boris Pavlovich Anisimov was born on June 18, 1951 in Novosibirsk, Russia. After finishing school in 1968, Anisimov moved to Almaty and got a degree in Theater Arts from the Gogol Almaty Arts School. 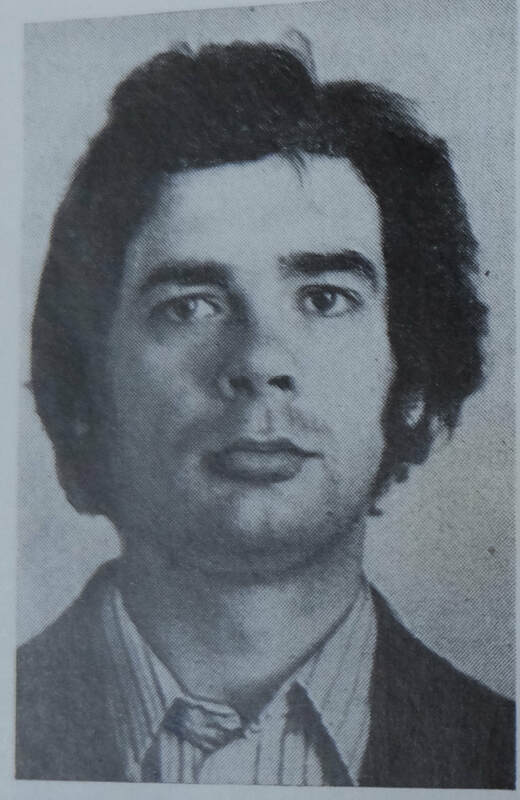 He was one of several Almaty "monumentalists" to study at the Moscow State Academy of Industrial and Applied Arts (popularly known as Stroganovka), graduating in 1977. Anisimov was a member of the team chosen to design and install monumental art in the House of Scientists, an annex to the Academy of Sciences that was built in the early 1980s. 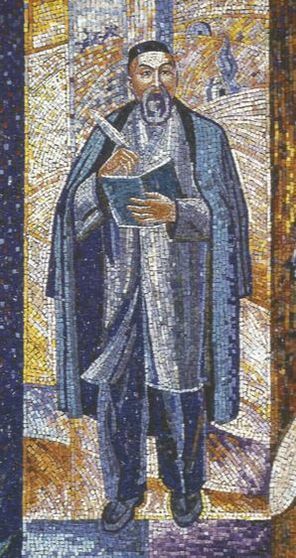 Together with Gennadiy Zavizionniy and Yuriy Funkorineo, Anisimov contributed Roman-style mosaics in the foyer depicting famous scholars of Kazakhstan. 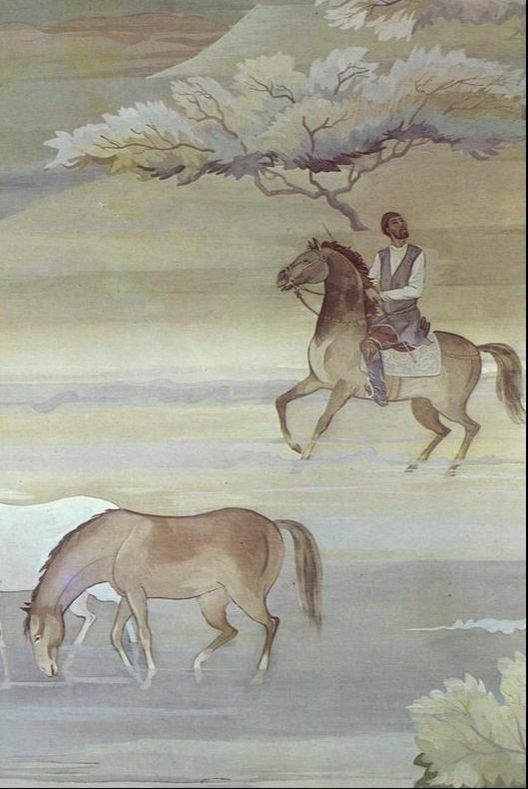 In the building's "winter garden," a meeting room with indoor plants, Anisimov painted a mural of idyllic steppe life; the mural has since been removed during renovations. 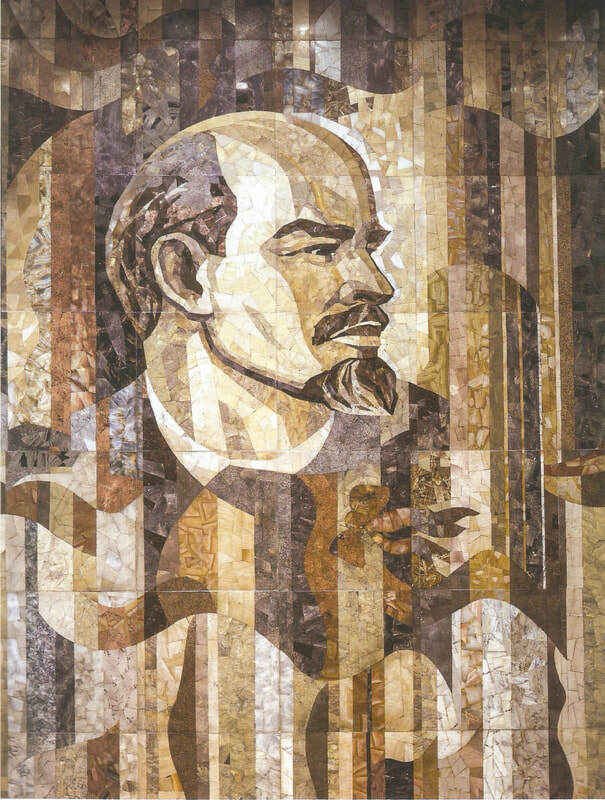 In one more piece, the artist teamed up with Vladimir Tverdokhlebov on a unique Florentine mosaic of Vladimir Lenin for the lecture hall. Though intact, the mosaic has been covered with a large plastic banner. In 1995, Anisimov moved to Yaroslavl, Russia, where he opened his own design studio. 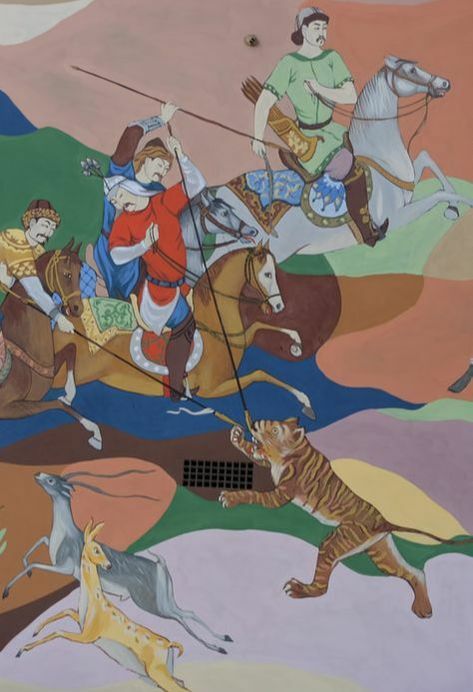 In addition to his work in Almaty, Anisimov has major works of monumental art in Ekibastuz and Karaganda. 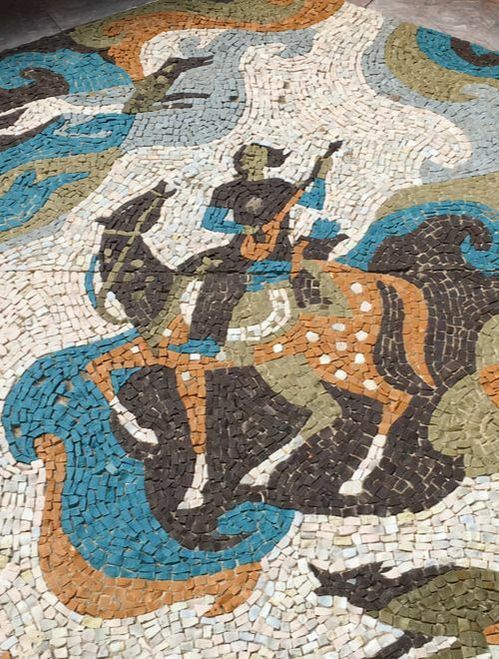 If you like Monumental Almaty, check out our other project, Walking Almaty.